I started racing properly as a first year junior, just over 3 years ago, however I have always had bikes in my life it has a been a passion of mine since I can remember. I spent 2 years on Pedal Heaven, and have now progressed to an U23 development team which I am really happy with. Foundation Alberto Contador U23 Team. It is an under 23 focused team which races largely in Spain but also in big UCI races in Europe. The aim of the team is to produce well rounded young riders and also create an avenue to progress to pro continental and World Tour team's should we progress quickly which is very exciting for all of us and very motivating as a goal for the coming years. I will begin my season with some Copa Espana races, this is partly to adjust and learn about the Spanish style of racing at national level which is bound to be somewhat different to that which I have experienced in England and Belgium, and also to make another step in my form before some races which I am really excited for in March and April which include the Tour of Normandie in March, and Liege Bastogne Liege U23, which will also be some of the most demanding races I have experienced. After the ‘classics' period of the season I will take a rest and evaluate the goals for the next part of the season. I will be riding a Look 695, with Rotor hydraulic groups which is currently exclusive to the team. 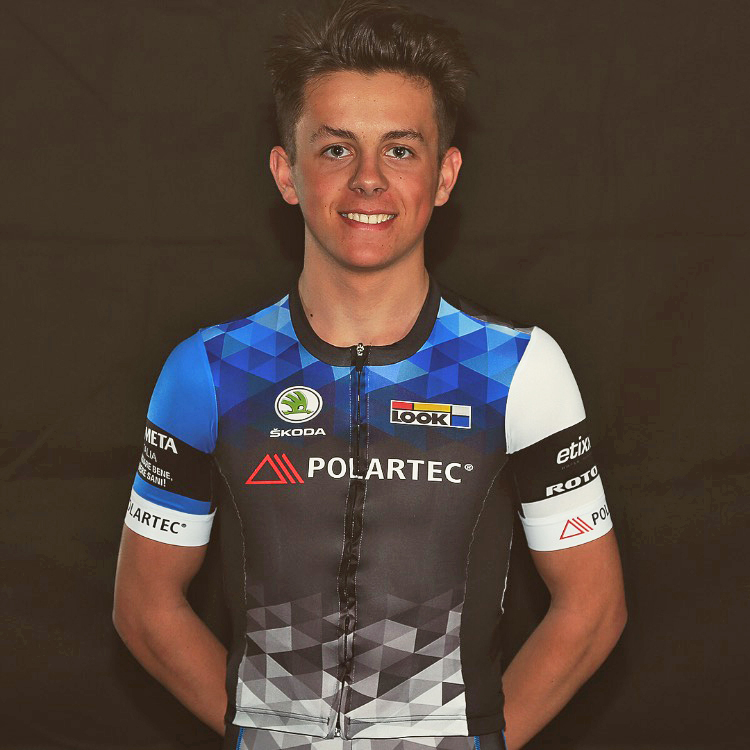 Our kit supplier is Polartec, who produce fabrics for some of the most well known brands in the world and are now producing cycling kit themselves, they are actually our title sponsor and put an incredible amount of research to make sure we are wearing the best cycling kit on the market. This allows us to have one less thing to think about during a race and to be more comfortable during our time on the bike. I have also been involved in motorcycle racing since a very young age so I try my best to go and see friends at selected World and British Superbike rounds through the season, its exciting and a nice distraction from a busy cycling schedule, however apart from that I enjoy going out with friends and going for dinner, its difficult to have major hobbies outside of cycling when you are tired most of the time!